Hi and welcome to a New SavingsPinay Weekly Notes. As you may have noticed the theme of this blog had suddenly changed due to unexpected bug I suppose. The theme I was using didn't show the Day 1 What is "Multi-Level Marketing" post I did for the June SavingsPinay Series. It was the first time that this happened to me so I was worried that my newer posts will also won't show up. 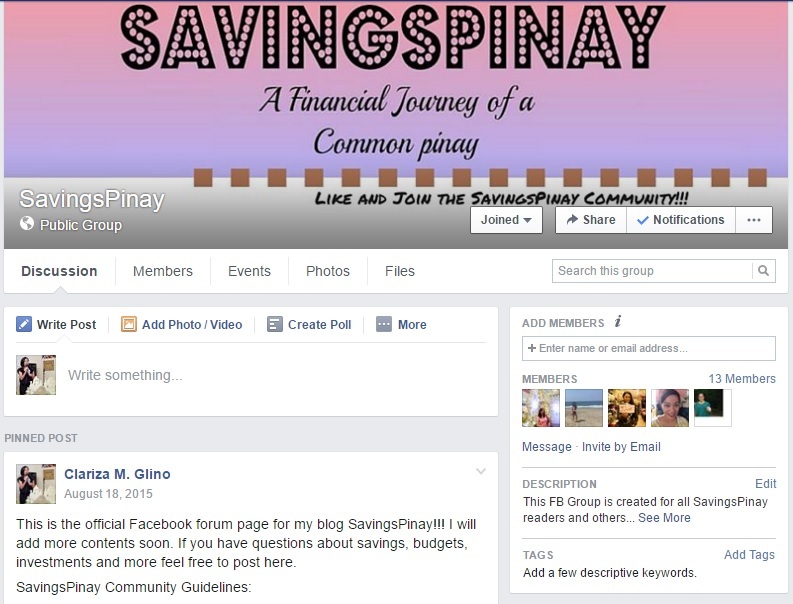 To solve the problem I searched for a new free theme and now SavingsPinay Blog is anew. 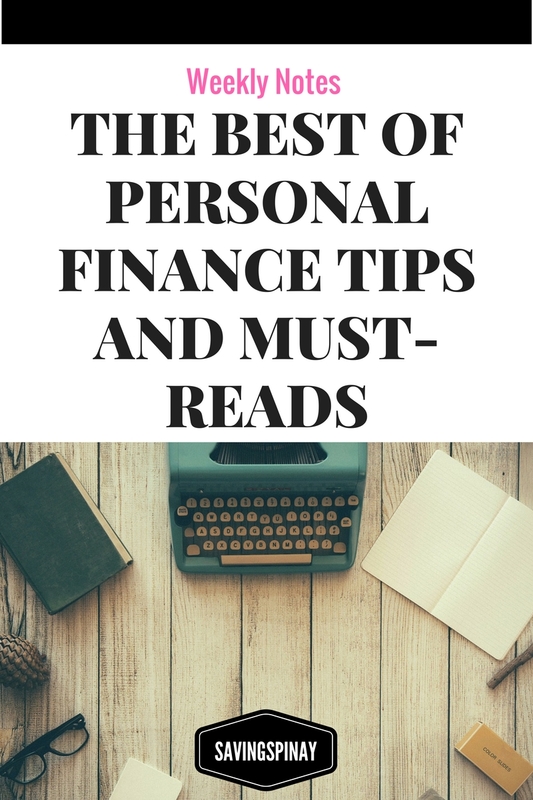 Anyhow without further ado I'd like to share to you the best posts I have searched and read and will surely be helpful in everyone's personal finance life. Weekly Notes #03 | The Best of Personal Finance Tips and Must-Reads. The June SavingsPinay Series All About Multi-Level Marketing in the Philippines is over and I do hope you have read and followed all the lessons. I'll be giving a quick summary of the series here. 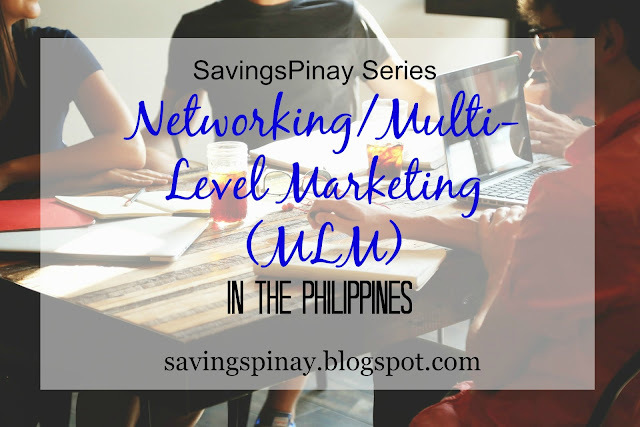 On Day 1 I have shared the definition of Multi-Level Marketing and the terms that you'll hear most of the time in networking. I also answered How Network Marketing works and How to Get Started in the said business. What To Look For in a Network Marketing/Multi-Level Marketing Business? For Day 1 I also gave away a free infographic so make sure to click and download. On Day 2 I gave quick tips on how to achieve success in network marketing whether you are doing it part-time or full-time. For Day 2 I also gave away a free smart goal worksheet for those who are starting their networking journey. On Day 3 I have discussed the what networking is and what it is not. I also answered one of the main questions when it comes to MLM... Can You Really Make Money in Networking? Now here's a quick comparison between what networking is and what it is not for your reference. Networking is NOT easy money. Networking is a business strategy. Networking is NOT Pyramid Scam because of Products. For Day 3 I gave away a Network Marketing Checklist you can download, print and share to others. I hope you enjoyed the whole June SavingsPinay Series. I'll probably make more posts about MLM soon as I felt like three days is not yet enough to tackle everything about it. Don't forget to use the comments section for your topic suggestion. 1 comment on "Weekly Notes #03 | The Best of Personal Finance Tips and Must-Reads"